491 shoes found. Page 1 of 25. 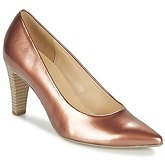 Bronze court shoes, heel height 8.0cm, leather / textile insole, synthetic upper, leather / textile lining, rubber sole. 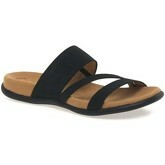 Black mules (also available in Grey), textile upper. Grey mules (also available in Black), textile upper. Blue mules (also available in Black), leather upper. Blue mules (also available in Multicolour, Beige and Grey), leather upper. 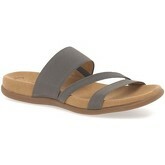 Grey mules (also available in Beige, Blue and Multicolour), leather upper. Beige mules (also available in Blue, Red and Multicolour), leather upper. 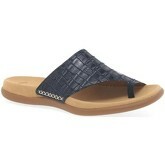 Blue mules (also available in Beige, Multicolour and Red), leather upper. 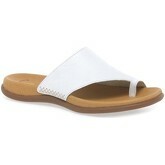 White mules (also available in Brown, Silver and Black), leather upper. 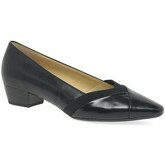 Black court shoes (also available in Blue), leather upper. Black ballerinas (also available in Blue and Beige), leather upper. 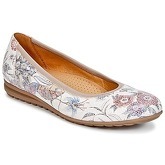 Beige ballerinas (also available in Black and Blue), synthetic upper. Blue ballerinas (also available in Black and Beige), synthetic upper. 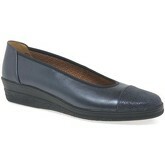 Blue court shoes (also available in Black), leather upper. 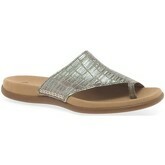 Silver mules (also available in Black and White), leather upper. 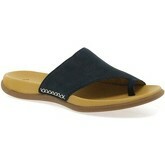 – According to the owners of footwear brand Gabor, only comfortable shoes guarantee well-being in any situation. And this statement is very true. 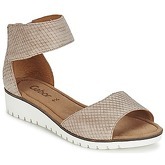 A characteristic feature of Gabor brand is designing shoes on a low heel, a wedge or on a higher and thicker sole. That’s why Gabor is a good choice for people who don’t like high heels but still want to enhance their shapely calves and feminine silhouette with low-heeled shoes. Gabor’s footwear is light, extremely comfortable and very smart. Classic cuts are perfectly combined with current trends, due to which fact teenagers and adult women will find something for themselves – from sandals and ballerinas, oxfords and boots to high boots and sports shoes. Gabor produces shoes from highest quality materials, among which natural leather, guaranteeing comfort and health, prevails. 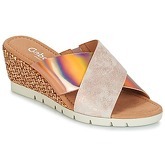 On this site you will find women's shoes in sizes from 2.5 to 9.5. There are 491 pairs of shoes starting with price of £44,40; 158 pairs from the whole collection are discounted at this moment. 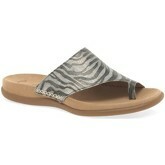 The most frequent shoes in this category are Sandals, Ballerinas, Boots and Court Shoes. There are 2650 brands, most of shoes comes from Office, New Look, Betty London, L' Autre Chose and Geox. The shoes are available in different colours, mostly in Black, Blue, Beige, Brown and White.